Wondering how to get more fro your lead nurturing email strategies? Whether you have just gotten your lead generation campaign off the ground or you are battling to see any signs of conversion on a current campaign, understanding the factors that influence conversion is key. Many businesses set up these emails without putting the basic foundation into place first. Others rush into campaigns without understanding exactly how they will get results. At a glance, lead nurturing emails do not seem too complicated. Take a closer look, however, and you will start to see that these emails can be far more complex than they seem. The problem with proceeding even when you don’t have everything in place is that you will quickly end up wasting not only time but also costs as well. In order to get genuine results, you first need to know what you are doing wrong and then you need to know what you can do instead to start seeing results from your efforts. In this guide, we share some of the top reasons that your lead nurturing conversion emails are not working. We also share some tips on how to improve your conversion so that you can fix these issues and get the results you deserve. If you are still sending out generic bulk emails, do not be surprised when you don’t get many opens, clicks or sales. Generic email blasts are a thing of the past and have no place in a lead nurturing strategy. Consumers are bombarded with an endless number of emails each day and the ones that are not deleted are almost always targeted, relevant and personalised. There is a huge leap between passable and genuinely good. This applies to lead magnets, but it also applies to your content, too. If your landing pages, emails and magnets are all sub-par, you will not generate much interest beyond the odd click. Your content needs to be easy to read and designed to capture interest and clicks. If you are not using behavioural targeting, you are missing out on a chance to connect to your leads on a deeper level. When you are sending out emails randomly with no triggers or thought to your audience’s current behaviours, you will battle to send the right message at the right time. Rather than focusing purely on demographics, look at behaviours, too. Leads appearing on more than one list? Broken lead entries popping up too often? Duplicate entries, outdated data and other issues? If your email lists are a mess, you will battle to get the message out at all, let alone to the right people. Another danger of not managing your lists is that you could end up spamming your leads by accident, which is never ideal. If it is taking you over 40 hours to respond to new leads you will have a far lower chance of that lead turning into a sale. Waiting too long can be a costly mistake. The sooner you make contact, the more chance you have of conversion. Lead response times can differ per industry – it is best to take the time to test your times to see which time has the best results. Are you using lead scoring models at all? If you are, do you take the time to actually use the data to choose the leads that you focus on in your campaigns? Do you base your scores on specific behaviours and interactions? If you are not investing in lead scoring, it could be impacting on your conversion far more than you realise. Be clear about your goals, right from the start. Conversion is not a one-size-fits-all thing. Some companies may focus on getting prospects to attend an event, others may want to increase website visit, some may want to drive sales – a few may even be trying to build an email following. Your goal will guide your strategy, which means that you need to be very clear about what you want from your campaigns in order to plan your strategy effectively. You will also need to think carefully about personas when you start to plan your strategy. This will allow you to create personalised emails that work far better than generic emails. Buyer personas should always be based on specific audience demographics and behaviours for the best results. How often will you send emails? What types of emails will you include in your strategy? Ideally, you want to include the basic drip campaigns – welcome emails, abandoned cart emails, cross-selling emails and retargeting emails. You can also include anything from birthday emails to behaviour-based emails triggered on user activity. Remember, you don’t want to send so many emails that your audience is overwhelmed, however. Plan and test frequency to see what works best. You will find that some strategies work and others don’t. Agile campaigns that can adapt to your needs will have the best chance of converting. Lead nurturing emails should always be planned according to your current goals and needs rather than a fixed idea of the results you think you should be seeing. When you stay agile and continually tweak and improve, you will always have the chance to grow your results. Lead nurturing emails are not the end-game. Instead, they should be seen as part of the bigger picture. 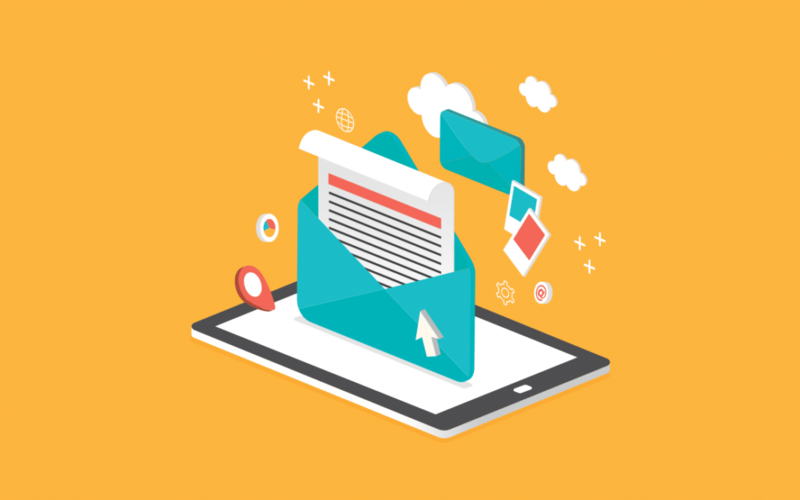 Used as part of a well-rounded lead generation strategy, email marketing offers a powerful channel that has the chance to reach a large number of leads. The trouble with this channel is that many marketers see it as a chance to broadcast bulk messages to the largest amount of people that they can add to lists, hoping that a few of those will pan out into real leads. This approach seldom works. Instead, you end up not only getting your emails sent straight into spam folders but also with a higher chance of being blacklisted or reported for spam. Take the time to plan your lead nurturing email strategy. Test and test again. Follow best practices, learn from your mistakes, avoid making new mistakes, and keep working towards improvement. This is by far the best way to see genuine, lasting conversion from your lead nurturing email efforts that will last year on year.